I have noticed lately not only on the fashion runways but also in the local fashion trends is that focus is leaning toward legs. 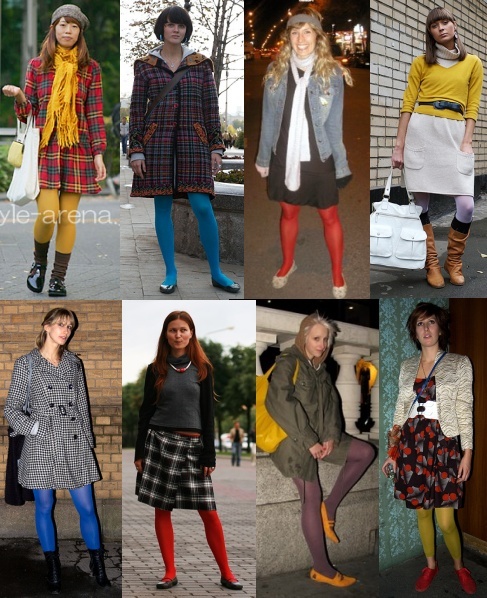 Whether it is colored tights, funky leggings, lacy thigh highs, women all over are using legs, leggings, tights as a statement piece. AND I LOVE IT! I bought two pairs of tights that I will be pairing it with something from my wardrobe and will post an OOTD (Outfit of the Day) but I wanted to share some images I found to help inspire this trend to all my stylish and fashion forward readers! I hope you enjoy and let me know what you think! I hope this inspired you! It certainly inspired me! As always, thanks for stopping by and see you again soon!